Christopher Rowe is back and there are more puzzles, riddles, and secrets to uncover in this follow-up to the Indie Next pickThe Blackthorn Key, which was called a “spectacular debut” byKirkus Reviews in a starred review. I have been so looking forward to this book since I finished The Blackthorn Key last October. I was immediately enamoured with the puzzles and action in Blackthorn and, as such, had very, very high hopes for Mark of the Plague. It did not disappoint. In a Twitter chat with Kevin Sands, hosted by Indigo, I asked if he’d ever write us a book of puzzles we could do based on Blackthorn (think like those books of sudoku puzzles). 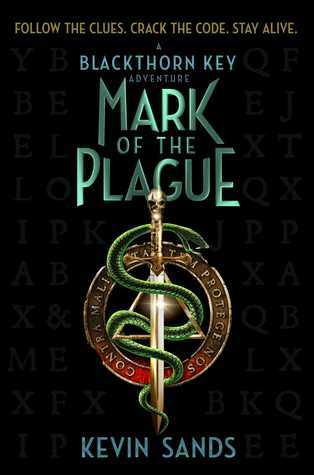 Book one made me feel like I was living in a puzzle world and Mark of the Plague was no different. The gears in my brain were running at top speed the whole time and, although it didn’t feel like it focused on actual codes and puzzles quite as much as the first book, I was constantly trying to piece the clues and bits of information sprinkled throughout the text together. I like to pride myself on being able to sniff out twists and turns but some of the main ones eluded even me. Well played, Sands, well played. The characters still tug at my heart as well. Christopher and Tom are two of my favourite trouble makers I’ve ever read (their shenanigans remind me a little of the chaos Ron and Harry would create at Hogwarts) and of course they couldn’t keep themselves out of hot water. Their dynamic as friends is almost more brotherly than just friends and it’s such an awesome thing to read. Christopher has managed to find himself a place where he belongs, a great support circle, and a sense of self all of which only continue to grow throughout Mark of the Plague and I’m sure will continue to solidify in any further books. 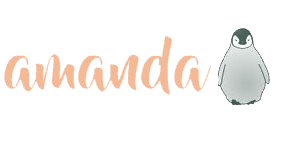 I never expected to connect so well with a middle grade character but I get emotional over Christopher Rowe and Co. I will warn you, this is a THICK book. Do not be discouraged. Mark of the Plague is an incredibly fast read. The story was paced well; with moments of intense action we were given some lulls so that our heart rate could return to normal before Kevin gets us going again. I thought it would take me forever to get through such a large book especially considering I’ve been in a bit of a reading rut but I flew through it all way faster than I ever thought possible. I adored The Blackthorn Key and had very high hopes going into The Mark of the Plague and it gave me everything I hoped for an more. If you haven’t read the first book, go buy both and binge read them. You wont regret it but you *may* get a little antsy waiting for more from Kevin.